Let’s take a trip back into the not-so-distant past and stop in 2006. If you asked anyone you encountered whether buying a home was a good idea, they’d answer yes, unequivocally. In fact, they might look at you a little funny for even asking, and that’s not just because you’re transcribing their answers on your futuristic-looking tablet (can you believe the iPad didn’t even exist then?). Buying a home is the ticket to the middle class! Homeownership is the key to the American Dream! Renters are just throwing away their money each month! Okay, so maybe they didn’t say the last one, but membership in the renter class definitely carried a more negative stigma than it does today. 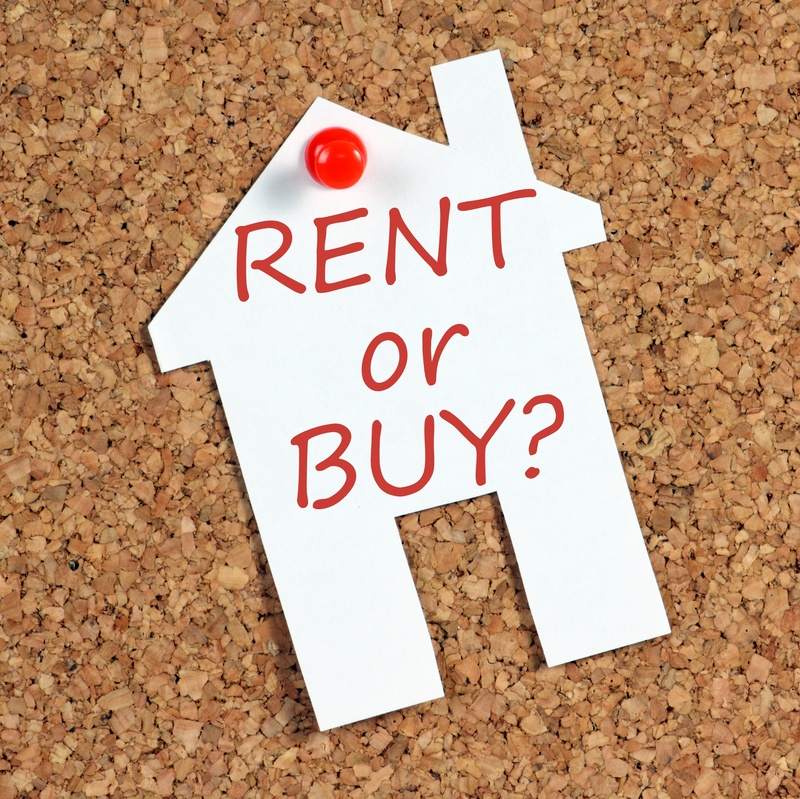 Renting was considered a transient state: a place for young adults, college students, recent graduates, betrothed couples, and those in-between marriages. Those who rented did so only until they moved on from their temporary situation and settle down into a new chapter in their life. Settling down meant having a “good” job with growth potential and, since you were planning to stay in one good job for eons, it also meant settling into a home for the long haul. A study conducted by the National Association of Home Builders showed that the average American home buyer lived in their home for 13 years. If you were planning on living in your home for 13 consecutive years, then homeownership does make a lot of financial sense. You’ll likely remain in the home long enough to have the home appreciate sufficiently to cover the home buying closing costs and selling costs, and perhaps you’ll even make enough from your home, too. Now that you’ve lived through the Great Recession, though, you know that home buying does not come without the risk of substantial loss. If you wanted to change history for those you converse with back in 2006 (though that always works out badly in the movies, so don’t do it), you could simply tell them they’re incorrect. Homeownership is neither the golden ticket to the middle class nor a better choice than renting for all people. We’ve learned that houses can depreciate. A lot. We’ve learned that “good” jobs aren’t fixed to stable locations--just ask any military family! Buying a house can not only tie down your assets, but can also tie down your family to one fixed location. If Uncle Sam says move and you can’t sell, then you’re stuck as a military landlord (not a bad gig, but it’s definitely not for everyone). If you can’t sell, then as a military family, you’ll likely struggle to get financing for your next property. Most military families use the VA Home Loan to purchase their property, and according to a New York Times interview with Mike Freuh, Director of the VA Guaranty Program, 90% of those families buy with zero down and have less than $7,000 in liquid assets. Your bonus entitlement VA loan. Where Can You Find Money for Your Down Payment. The zero down USDA program for homes in more rural locations, though you can read in our post Yes, Zero Down Loans Still Exist that the word “rural” is used rather liberally. If you’re only buying a home because you’re still stuck in the conventional wisdom of the early 2000s, then reconsider whether homeownership is the best option for your military family at this particular duty station. We know that homeownership helped some enter the middle class over the past few decades because paying their mortgage functioned as a forced savings account. If you’re just buying to save, then do yourself a favor and save. Rent a smaller, cheaper home and build a comfortable nest egg for your military family. Use it for the down payment on your forever home when you do eventually retire. Remember, you can always revisit this decision in two to three years when it comes time to PCS. You aren’t stuck in the renter class forever!